Does A Combination Of An Elliptical Machine And Treadmill Work Better? 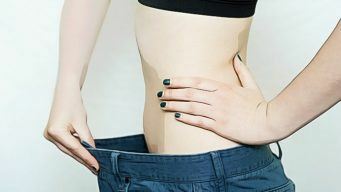 We have many ways on how to lose weight and keep fit, including healthy diet, exercise and relax. Moreover, with support of various physical fitness machines, it is easy for us to lose weight and keep fit as well as build muscle. However, often we are not sure about what sort of physical fitness regime will be good for us. Treadmill And Elliptical Machine: How Effective Is The Combination? Gym goers of today are quite fond of both elliptical machines and treadmills as instruments for cardio exercises. Though both these machines primarily concentrate on the lower body, the elliptical machines also pay some attention to the stimulation of your upper body. But before we go into the combination and their benefits, let us first look into them separately. Treadmills were well-known for harness power in order to make people and animal do work or punish prisons in the history. More recently, treadmills give a platform with conveyor belt operated by an electric motor or a flywheel; therefore, they are quite good when it comes to cardio vascular activities. There are a lot of treadmill reviews available on the internet. On a treadmill you do some basic exercising like running or walking while staying at the same place. There are three versions of treadmills. The first one is motor- driven which is expensive and heavy. Another version only depends on motion. It means that the walkers need to push the bells in order to work out. The final version of treadmill that I want to introduce to you is manual treadmill. Here are certain advantages of working out on a treadmill. Working out with treadmills does not depend on the weather condition. Therefore, they enable you to do exercise no matter how sunny or rainy the weather is. The treadmills can press the lower impact than any running or walking outdoor exercises. Enable you to keep or achieve the consistent pace thanks to rate settings. The treadmill adds versatility to your workout routine. You can control the speed, time and other details of the exercise. Some experts claim that fast exercise is better for the body. Running or walking on the treadmill is similar to natural activities of humans. It does not confuse the body like some other sophisticated machine might do. On a treadmill you will burn more calories and due to the high output you will lose weight and keep fit more quickly than other exercises. Users can utilize the treadmills in many medical facilities, sport clubs, running shops or universities. Moreover, there are many training rooms for army and police, gyms which have treadmills. Even we can buy treadmill and use it to work out at home. Interestingly, in offices, the treadmill desks are designed to help employees walk while they can work in front of their computers or speak on their phones. However, it is easy for accidents to happen if you are sleepy or tired. Therefore, you should avoid using it if you are in these cases. Do not press hardly on your joints while they help you reduce the risks of impact injuries. Elliptical machine can provide a range of non-impact cardiovascular exercises which vary from light to intense. You can change the speed thanks to preference set. The best part of the machine is that you can emulate running action on this machine without straining the joints, unlike the treadmills. Since all the modern elliptical machines come with moveable handles, so, they allow you to cross train your body, so that the upper body too gets some stimulation. You can also take reverse strides which act well with certain muscles. Therefore, it is more useful in certain ways than the treadmill. To know more about the machine you can go through elliptical reviews. Elliptical trainers or elliptical machines are used to be driven by the leg. Some elliptical machines are designed with the combination of handle-level and pedal-link. By giving a burden on your arms, it will create a secondary power. This machine is available in fitness clubs, sport shops. However, in order to choose the suitable machine, many users find it difficult. The reason may be that poor machine may be dependent on leg’s power; therefore, it can not have enough advantage. As we see, treadmills and elliptical machine are different equipment which is designed for cardio exercises. They are ideal for gym-goers with their own advantages and disadvantages. If we can combine these two activities into one workout regimen, it can help us achieve the better fitness level. The machine such as Bowflex Treadclimber is designed to those movements. It has moving pedals (like elliptical machine) and belts (like treadmills). If you combine the treadmill and the elliptical machine during your workout routine it might be beneficial for you. It can ensure an effective aerobic session for you and through the combination you will be able to get a more balanced fitness regime. The elliptical will be able to provide stimulation of the upper body while the lower body part will be taken care of by the treadmill. Hence, it will ensure a full body workout for you. In a study of 2019 it has been pointed out that this combination helps you burn more calories. Similar study on women also yielded close results. Of course, you can do aerobic workout with the elliptical machine or treadmill. But by combining the two, you can reach the greatest overall level that you want for fitness.